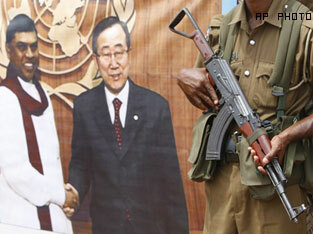 UNITED NATIONS, January 31 -- As in Sri Lanka the office of Lanka-e-News was burned down and the UN had no comment, nor would the UN on January 31 even confirm receipt of a petition from the wife of journalist Prageeth Eknaligoda, disappeared on January 24, 2010. Still having no answer or confirmation of receipt, Inner City Press asked the questions in person at the January 31 UN noon briefing. Ban's spokesman Martin Nesirky said “both are questions you sent by email.” Yes -- but they were never answered or even acknowledged. Earlier this month Nesirky ended a briefing (on January 21) by saying it would only take questions from Inner City Press if it “acted appropriately” -- apparently meaning, no questions about compliance with UN rules. Nor about Sri Lanka? The petition was reported in Columbo, in the Canadian Press and elsewhere. 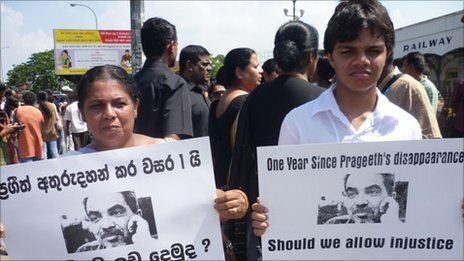 Major press freedom organizations have spoken of it, just as another belatedly prepares to speak out on the burning of Lanka -e-News. 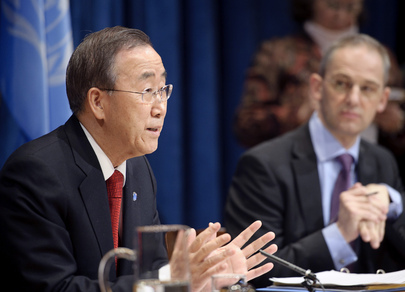 So the UN under Ban Ki-moon is not aware of it? Watch this site.